Cherry Hill's newest restaurant is The Farm & Fisherman Tavern + Market (1422 Rt. 70 E., 856-356-2282). Located in the former Andreotti's spot, this New American bistro is a spinoff of The Farm & Fisherman BYOB in Center City Philadelphia. The tavern's evolving farm-to-table menu (currently dinner only) lists items that are gluten free. Lunch service will begin next Tuesday, Dec. 10 and breakfast starts in January. 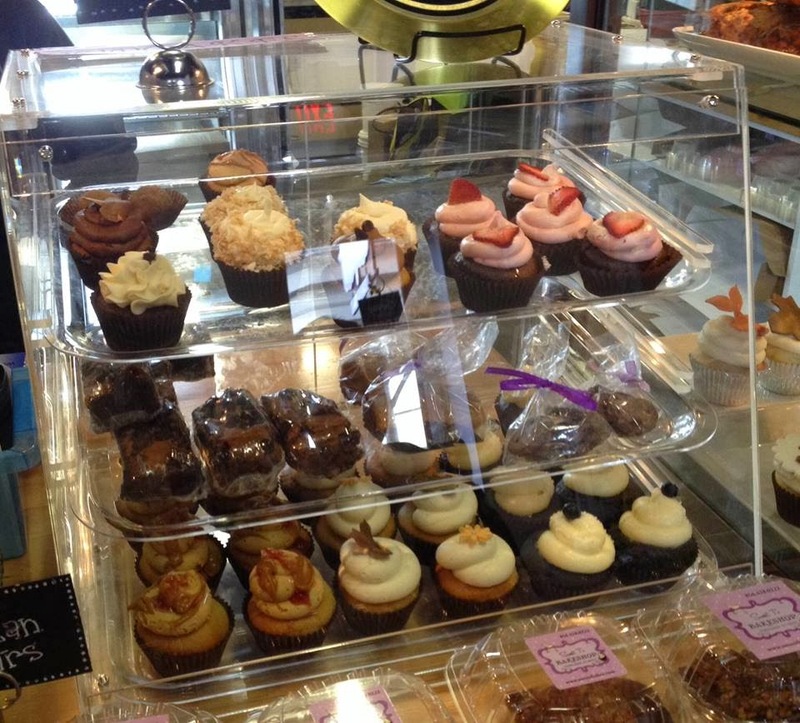 At Sweet T's Bakeshop, also in Haddonfield (14 Kings Ct., 856-428-0222), a daily selection of gluten-free cupcakes - my favorite is the Blueberry Velvet - brownies and salted caramel bars are available and kept in a separate display case, while other gluten-free sweets like cakes, pies and muffins can be made with advance notice. According to the owners, all gluten-free products are made using designated utensils and a mixer and are baked in a separate oven. Reader Drew L. reached out via the new Gluten Free Philly iOS app with several recommendations in the Cape May area. In Stone Harbor, Marabella's (9426 3rd Ave., 609-368-5037) has a number of entrees on its gluten-free menu and pasta also is available; the restaurant has limited off-season hours but serves dinner daily during the summer. Cafe Noir (261 97th St., 609-553-7080), which will close for the season next month and reopen in April, offers gluten-free bagels, sweets and snacks. Italian BYOB Ristorante Luciano (9820 3rd Ave., 609-967-9115) serves gluten-free pasta alongside other dishes. In Cape May Court House, Murasaki (13 Dennisville Rd., 609-463-8888) has gluten-free soy and curry sauces. Reader Shari S. let me know that all of the entrees at Saffron Indian Kitchen in Bala Cynwyd (145 Montgomery Ave., 484-278-4112) and Ambler (60 E. Butler Pike, 215-540-0237) are gluten free. In Boyertown, gluten-free pizza, pizza and sandwiches are available at Argento's (833 E. Philadelphia Ave., 610-367-4144). The kitchen uses dedicated utensils and pulls ingredients for gluten-free orders from the refrigerator. Thanks to reader Cathy S. for the tip. Pasta Mista in Chalfont (290 W. Butler Ave., 215-997-0332) has a gluten-free menu that includes pizza. Out and about in the Philadelphia region is Bonjour Creperie (267-261-6735), a mobile food truck with gluten-free breakfast and savory crepes on board. The gluten-free crepes are made with dedicated utensils on dedicated equipment, says co-owner Jean-Pierre Bisilliat. The truck is available for catering as well. Beginning Tuesday, Big Bites BBQ in Quakertown (641 S. West End Blvd., 267-227-3102) will be expanding its operating hours for lunch and dinner Tuesdays through Thursdays. The gluten-free-friendly restaurant is maintaining its usual Friday and Saturday hours and will be open on Sundays through the end of December. I'm giving away two copies of the new "Gluten-Free Entertaining" cookbook by local chef Olivia Dupin. Entries are being accepted through late Sunday. Northern Delaware's WSTW and WDEL radio stations have a public-affairs program, Lifestyle, that airs early Sunday morning at 5:30 a.m. on WSTW (93.7 FM) and at 6:30 a.m. on WDEL (1150 AM). I'll be on the show this Sunday to discuss gluten-free dining, cooking and other topics. The show can also be heard on those channels via the TuneIn Radio app.